The New Zealand Dollar gained about 67 base points against the US Dollar on Friday. The currency pair breached the 50-, 100– and 200-hour SMAs during Friday’s trading session. However, today’s trading session began with bearish sentiment, and by the middle of the European session, the currency pair has depreciated about 20 base points. By and large, it is likely that the NZD/USD currency exchange rate will continue its southern movement. 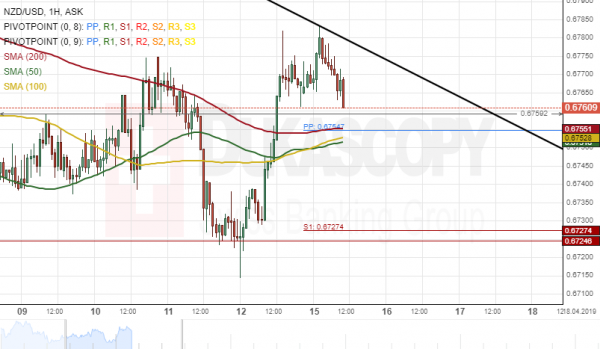 The potential downside targets for the pair will be at near a support cluster at 0.6755.